This entry was posted in Gore Vidal. Bookmark the permalink. I loved him in GATTACA. Really miss Vidal. Nobody else like him. 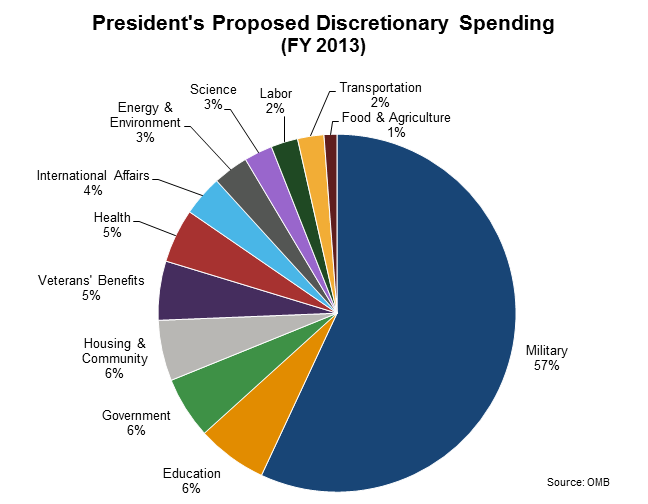 Why not post the pie chart showing total federal spending, not just discretionary spending? It's damning enough that our military spending is 18% of the total federal budget, isn't it? Not to mention unbudgeted federal borrowing for war. Is there any reason to use the more misleading chart? The income tax funds discretionary spending (as opposed to Social Security and Medicare, which are funded through separate, dedicated taxes and partly funded by one's employer). The income tax is what most people pay on April 15. I have legitimately learned something new today, thanks! I will be sure to use this against others in the future.